Nice post, I just found some of these myself! They are not in the Ink Cap (Coprinaceae) family, though. They are Psathyrellaceae. Good point Lisa. It’s probably best not to label it as being ‘solely’ Inkcap in its origins. Brittlestems (Psathyrella) and many of the Inkcaps (Coprinus) including The Weeping Widow belong to the Psathyrellaceae family, hence my entry on that point. I’ll keep it in the post though with a note pointing people towards this comment. It’s good to point out. 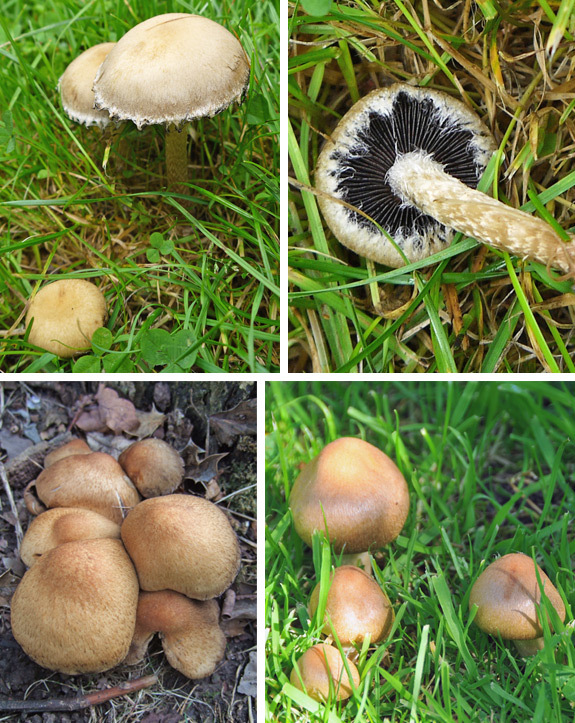 In the past it also has been refereed to as an Agarics species and also as Coprinus velutinus (Inkcap), which adds to the confusion! And whilst we’re on the subject of names, it’s quite interesting to know that the Shaggy Inkcap (Coprinus commatus), after molecular research (and I believe DNA testing) is in fact closer to being an Agaric, rather than Coprinus. But they are still keeping the name. It was known as Agaricus comatus in the 18th Century. Confusing – hmm!